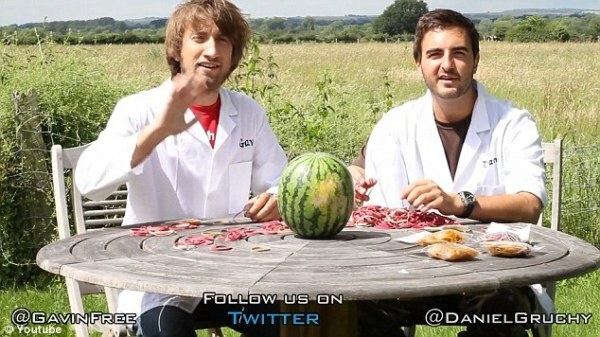 When a watermelon wrapped with a 500 elastic bands, the result is messy but it’s fun to watch it. 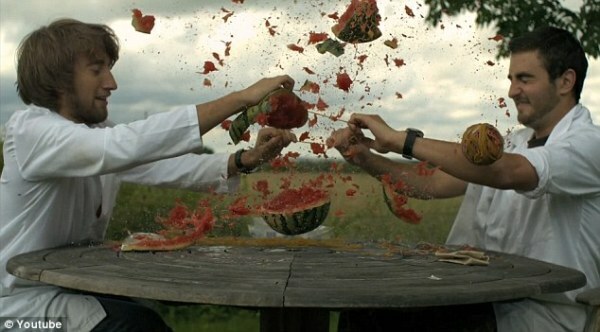 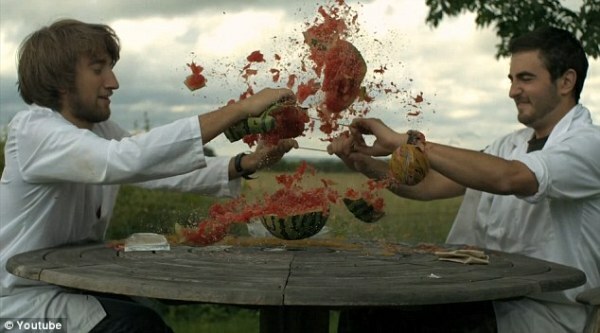 ‘The Slo Mo Guys,’ opted to take a watermelon and wrap hundreds of elastic bands around it, 500 elastic bands to be exact, and watch and wait until the pressure got to be so much that the watermelon literally exploded. 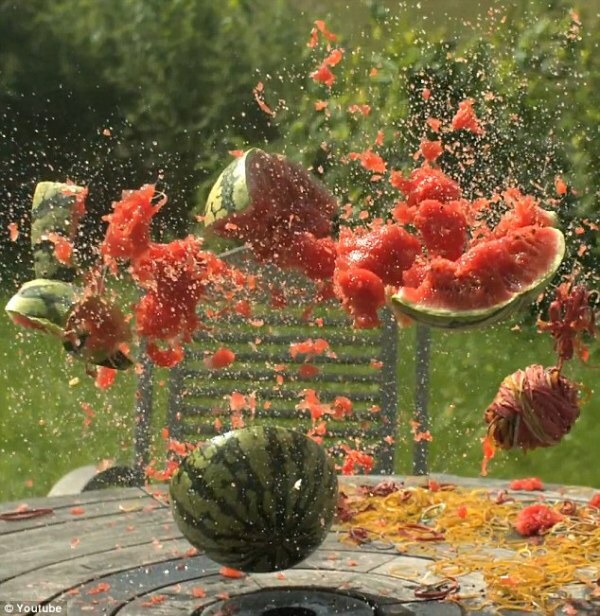 The process took approximately 20 minutes and The Slow Mo Guys recorded the ensuing action using a slow motion camera able to take 1,600 images every second.